Bill Davidson in the new Davidson-Kullaway shop. Photo by Josh Cohen. 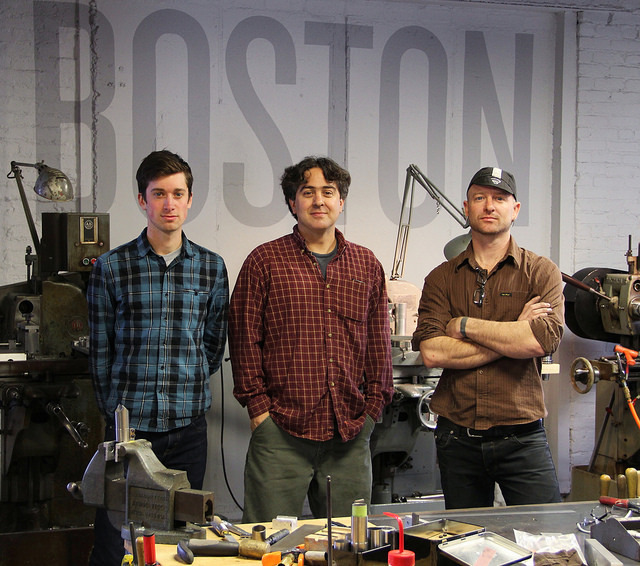 A few months ago, custom bike builders Bill Davidson of Davidson Bicycles and Max Kullaway of 333 Fabrication officially joined forces after many years of quiet partnership. One of the cool features of the new Davidson-Kullaway custom frame shop in Seattle’s Fremont neighborhood is a picture window in the wall that separates the customer area up front from the workshop in the back. It allows customers to watch the pair at work building beautiful bikes. When I arrived at the shop last week, I did just that. Kullaway was behind a translucent screen welding up a frame. 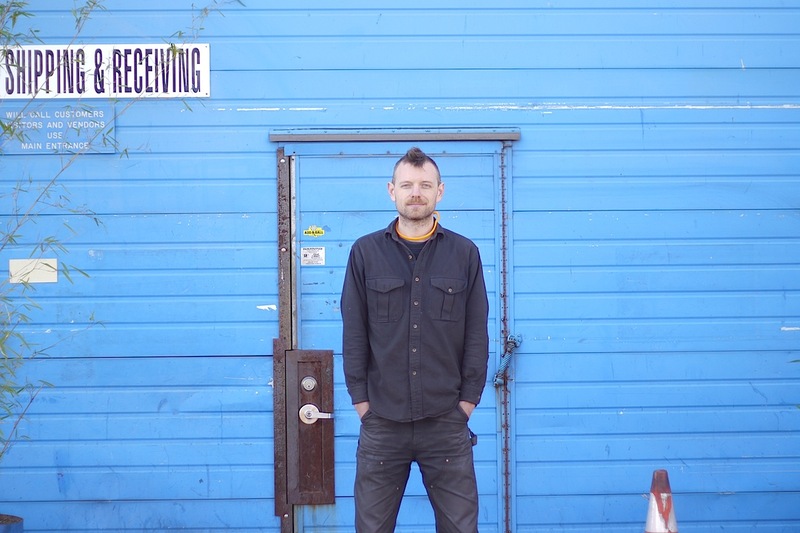 Davidson, looking like a blue collar scientist in his denim shop smock, was standing over a milling machine cutting tubes. Eventually, they noticed me standing there and Davidson joined me up front. 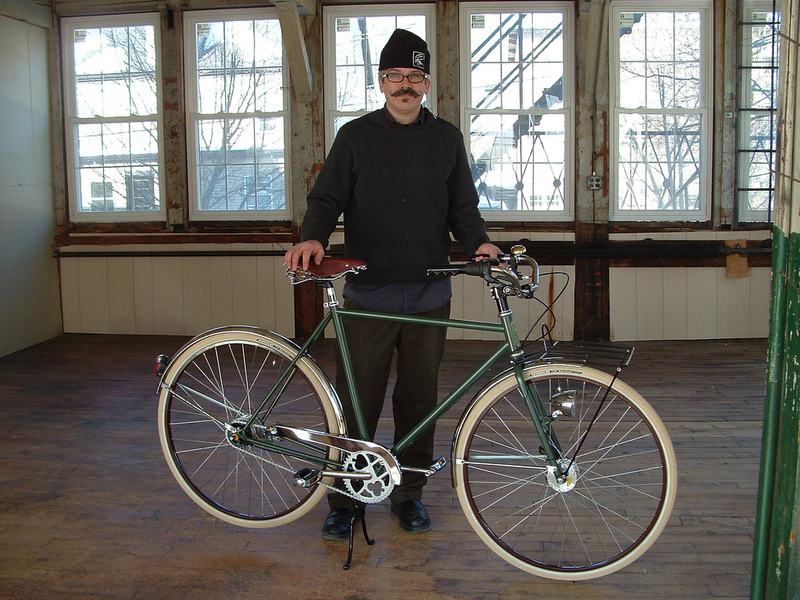 If you know anything about frame building, Davidson likely needs little introduction. He’s been in the business for over 40 years, which puts him in the company of just a handful of other American builders. 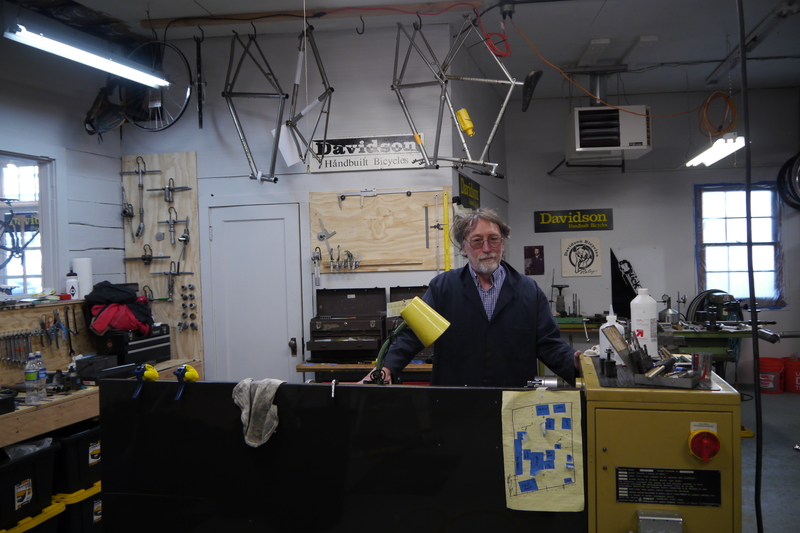 When he got started in 1973 there barely was such a thing as a custom frame builder in the U.S. We sat down at his new shop to talk about his long career, learning to build bikes in the 70s, the evolution of the frame building business, his new venture with Kullaway, and more.